For New Client Registration Call (325) 338-6651. This one page contains ALL of the Online Resources. 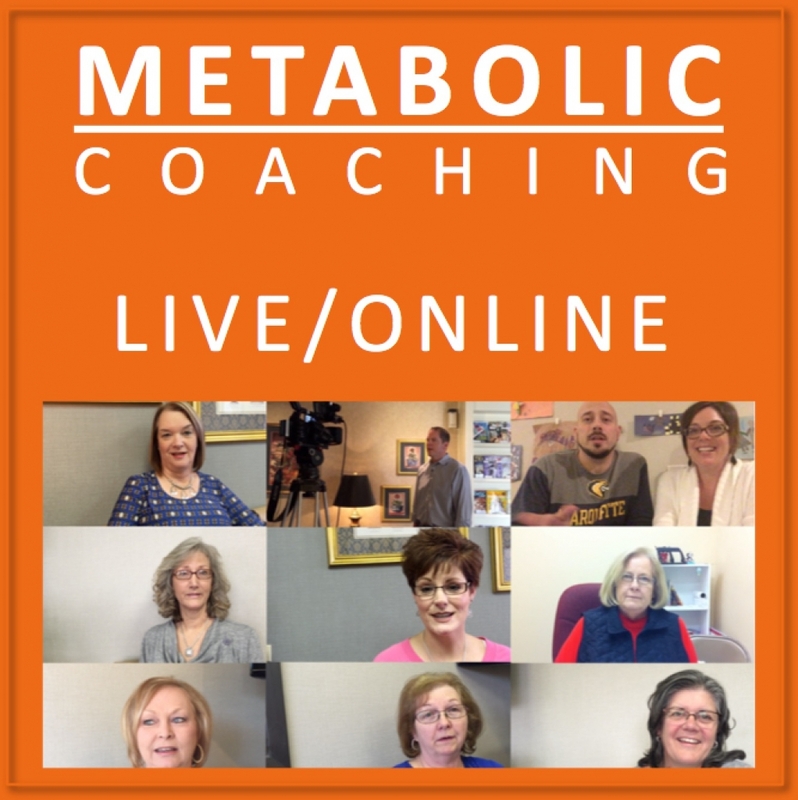 The only way to harness power of Metabolic Coaching is to download and utilize ALL the files and resources available from this page. See your doctor for individual supervision BEFORE beginning any weight loss and/or lifestyle modification program. 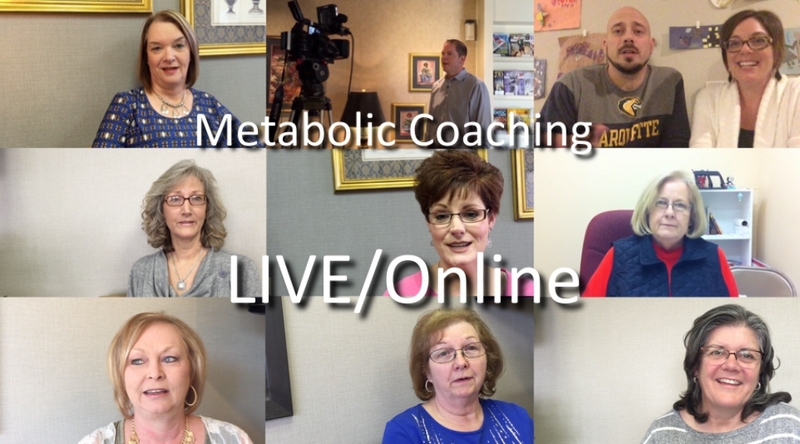 Print and take the page titled “The Metabolic Syndrome – Time to See Your Doctor” which can be found in the “Metabolic Coaching Steps to Success” PDF download below. You are now ready to achieve and maintain your ideal body weight for life! And remember, there is no “What’s Next?” Now that you have divorced yourself from the Killer Carbs, never rekindle that abusive relationship again. Visit Our Facebook Page Here for over 1,001 of low-carb meal ideas. Just click “photos” and browse through the meal ideas that look appeal to you. A short description is included for each. Over the years, on our Facebook page we have collected and published Over 150 Low Carb Recipes Here. It’s a great place to get started cooking & eating smarter at home. This is the 2 hour Introductory Course. 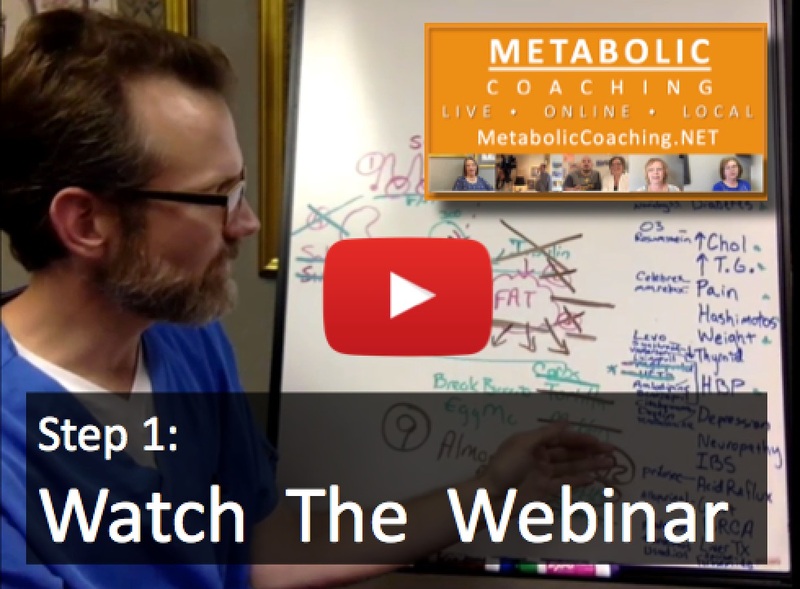 It explains the entire Metabolic Coaching Program in detail, including how to navigate through Steps 2-6. This course formerly cost $75 to $149, but is currently available to you, for FREE. Listen to the complete audio version of the “Cut the Killer Carbs” Seminar via the links below. We recommend you listen to the complete program a minimum of 3 times through during the next 12 weeks. This repetition (3 times through the audiobook) is ABSOLUTELY NECESSARY to reinforce the truths taught in the seminar, at a deeper level. These 4 Subconscious Reprogramming Audio Tracks are your SECRET WEAPON. They are designed to make your low-carb weight loss journey A LOT EASIER. These Audio Tracks work like “hypnosis” or “guided meditations” to help you reach your health and weight loss goals. Alternatively, you can use your computer’s audio software to burn the files to CDs. All 4 Meditations will fit on 1 CD. Download the Subconscious Reprogramming Audio Tracks 1 through 4 via the links below. Listen to Audio Track 1 each night, immediately before sleep, for the first 3 weeks. Then Audio Track 2 for 3 weeks, then Audio Track 3 for 3 weeks, then Audio Track 4 for 3 weeks. THREE WEEKS is the exact amount of time it take for each Audio Track to DELETE the old programs from your subconscious and INSTALL the new, healthy, slimming program into your subconscious. You will complete all 4 Audio Tracks over 12 weeks. Some parts of the Subconscious Reprogramming Audio Tracks script have been taken from Glenn Harrold’s original recordings. At any point, if you finding yourself slipping out of your new, healthy lifestyle and resuming old, unhealthy eating habits – simply return to a full 3 month series of the listening to the Subconscious Reprogramming Audio Tracks nightly. Listen one Audio Track nightly for 3 weeks until you have gone through all 4 again. Download, print, read, use, and follow the information in the “Weight Loss 101 Do’s and Don’ts” PDF document. Print several copies. Keep one in the kitchen, one at the office, one on fridge, and give one to whoever does your grocery shopping (if it is not you). This document includes what to eat, what not to eat, suggestions, substitutions, and tips. Also included are carb counting, implementation strategies, breads without carbs, books to read, supplements, other links and information, a little 200 year-old inspiration, the form to take to your medical doctor, and a comment form. You have a lifetime of “un-learning” to do. This is the shortest of the books. It discusses the subconscious mind and the low carb diet. It can be a touch insensitive, so you may wish to skip this one if you are easily offended. Not written by an MD. This is the best book to discuss low carb dieting and the many problems with wheat in particular. Written by an MD. These books are pretty short as well, and give lots of practical steps you can follow for a low-carb lifestyle. Written by an MD. Dr. Bernstein’s Diabetes Solution+Dr. Atkins Diabetes Revolution are ESSENTIAL READING FOR EVERY DIABETIC. You can learn how to conquer and even reverse your diabetes using the information in these two books. The Dr. Bernstein book is good for both type 1 or type 2 diabetes. If you have a scientific mind and need to be further convinced by the science, get this book. It goes through the entire history of low-carb diets being “common sense” to low-fat diets being “common sense” and the science of both. If you want the expanded addition of the same material which covers all the scientific studies in detail get Good Calories, Bad Calories by the same author. Not written by an MD. If you are dealing with lots of allergies that are not improved by cutting wheat (all gluten sources), and then by cutting dairy out of you diet, consider Clean by Alejandro Junger. Although I do not agree with everything, he does have a good approach to cutting offensive foods out of your diet and adding them back slowly, one at a time. Written by an MD. 7. The Art and Science of Low Carbohydrate Living and The Art and Science of Low Carbohydrate Performance by Drs. Stephen Phinney and Jeff Volek. Drs. Phinney and Volek study the effects of very low carbohydrate diets on inflammation and athletic performance on the human body. These books detail their scientific findings on the beneficial effects of a low carb diet. 8. Grain Brain by David Perlmutter, MD. 9. The Paleo Solution: The Original Human Diet by Robb Wolf. 10. Life Without Bread: How a Low-Carbohydrate Diet Can Save Your Life by C. Allan & W. Lutz. 11. The Plan by Lyn-Genet Recitas (if you have multiple food sensitivities). 12. Nutrition and Physical Degeneration by Weston A. Price, DDS. 13. The Coconut Oil and Low-Carb Solution for Alzheimer’s, Parkinson’s, and Other Diseases and Alzheimer’s Disease: What if There was a Cure? by Dr. Mary T. Newport, MD. Get Book Here – Alzheimer’s Disease: What if There was a Cure? 14. The Better Baby Book by Lana Asprey. Gives info on low-carb and pregnancy/female hormones. – Again, you have a lifetime of “un-learning” to do. One patient says, within 4 days I was off 75% of my medicine, within 2 months I was off all of them. – lots of info and lots of videos about what to eat and why. Measures Body Fat, Hydration, Muscle and Bone Mass – Five Athletic Modes – 12 Personal Profiles (440 lb.). This will help you follow your reduction in body fat (even if your weight is remaining fairly constant). You are on a health journey and a lifestyle change, now is as good a time as any to stop. your ideal body weight for life! never rekindle that abusive relationship again! At any point, if you find yourself slipping out of your new, healthy lifestyle and resuming old, unhealthy eating habits – simply return to a full 3 month series of the nightly meditations. Listen one meditation nightly for 3 weeks until you have gone through all 4 again.